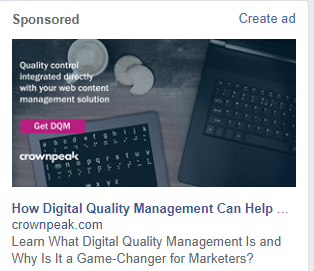 In my experience, when thinking about advertising on the the web, most people think of Google and Facebook Ads and that’s about it but there’s a wide range of Pay per Click (PPC) opportunities available and the key to success is deciding which are the platforms most likely to deliver the best results. Run by Microsoft, Bing is the search engine that seems to be forgotten but is in daily use by millions of people. My experience is that clicks are cheaper than those from Google and frequently of better quality. It gets better because if you have a Google Ads campaign, Bing Ads have a tool that will import all of your campaigns at the click of a button. Bing also powers the Yahoo Ad network so you’ll have the added benefit of your Ads appearing across Yahoo too. Facebook, largest Social Media platform on the internet. 2.2Bn users worldwide and about 32m in the UK so why wouldn’t you want to advertise here. Well, if you have something to sell to consumers then you should give it some thought. You can have image ads, text ads, video ads, sponsored updates and much much more. Not only that but you can target specific audiences and markets through the demographic data that Facebook hold, making it a far more targeted campaign than other platforms. However, if you are in the Business to Business market, Facebook may not be the ideal platform for your ads. Not the longest running Ad platform but certainly the most well established, the most popular and the one with the greatest reach, with more than 3.5Bn searches taking place on Google every day! Google ads can be placed on Google, YouTube, the Content Network as well as Google Search Partners. 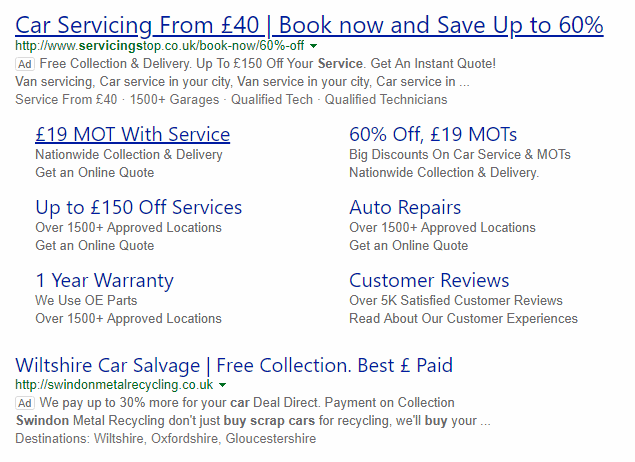 You can have simple text ads, image ads as well as responsive ads targeted at mobile phone users. Google Ads is also a great way to waste money if you don’t think carefully about where your Ads are displayed, to whom they are targeted and the way your search words are formatted and used. Campaign management (either in-house or outsourced) is essential to get the most from your Ads investment. Linkedin is home to over 520m professionals and so if your business is focussed on selling things to, or providing services to, a business market place than Linkedin is the natural home for your ads. You can focus your ads on almost any of the demographic metrics that Linkedin collects, whether geographically, job title, seniority, job role and much more. Traditional ads are shown on the right hand side on your Linkedin home page and across the top whilst promoted posts appear in the newsfeed and hate works best are hints, tips and white papers. Pinterest is quite new to the paid advertising market but is rapidly catching up, as demonstrated by it’s initial valuation before going public on the 18th April 2019 at $19/share valuing the company at $12.7Bn. Twitter is used by 330m people every month and is recognised as a key source of breaking news. Unlike a lot of the platforms mentioned here, Twitter ads stay on Twitter and so can be particularly effective and remain fully under your control. Your ads can be simple text but photos work better and videos are event more effective. Yahoo was one of the original sellers of search ads and was the model that Google based Adwords on. Yahoo still stumbles on as part of the Oath network (Yahoo, AOL, Huff Post and Tumblr). There are numerous Ad networks fighting for your advertising spend. My advice is to start small, test AND measure. If, after a couple of months, it seems that one of the platforms isn’t working for you then stop and switch to a different one until you find the right platform for your business. 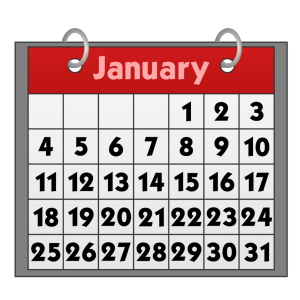 And, if you need any help, I’ve been doing this since 2003 so give me a call on 01793 238020 or email andy@enterprise-oms.co.uk for a free, initial chat to see whether I can improve your existing campaigns or help you launch something new. YouTube, great isn’t it – more cat videos than you can watch in a lifetime! However, it’s also a great source of information AND a really powerful way to reach web users who prefer to watch videos rather than read stuff. Imagine you want to learn how to fly fish. 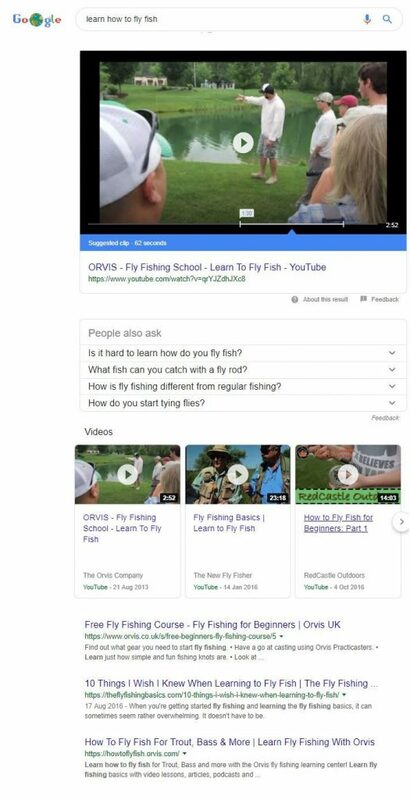 Just go to google and search “learn how to fly fish” for example, and Google shows you that there are 135 million results and the top is dominated by YouTube videos . Making videos has never been easier with great quality cameras in our phones, our tablets, our digital cameras – the list of devices goes on. Before you start recording, however, you need to make sure that your video has a purpose. Then you need to make a short list of keywords that are relevant. As you record your video and add your commentary you need to make sure that you use these words and phrases from your list. Watch your video, does it look OK? Does it sound OK? If you are happy then you’re ready to move to the next step. Once you’ve recorded your video and checked to make sure that you are happy with it the next step is to upload it to YouTube. Now you need to make the video easy to find and and make it easy for Google to understand what it’s about so that your video stands a chance of appearing in Google results, not just in YouTube search. Then you need a description so that YouTube can understand what the video is about. Finally you need to add captions, in other words translate your speech in to text so that watchers don’t have to turn their speakers up or plug their headphones in. YouTube will automatically create the captions but you need to check that their speech t text translation has translated accurately and if there are errors you can go in and correct them. 2/ The ability to place annoying adverts on your video – ads which might come from your competition if you’re not careful. 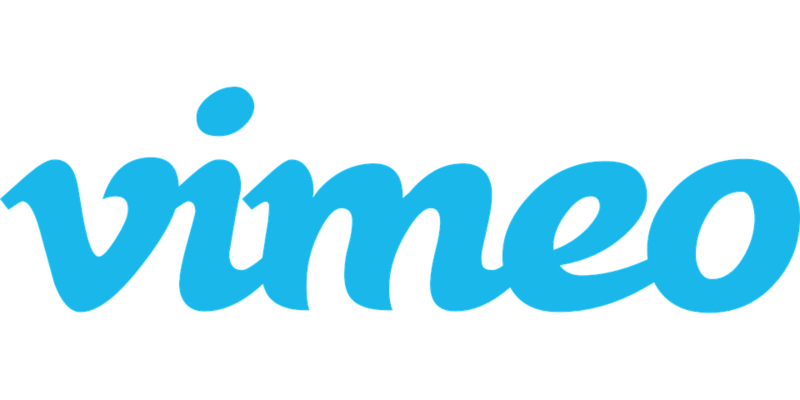 So, before you embed your video in your website or share through your Social Media channels and email campaigns get on over to https://vimeo.com and set up a free account. Vimeo is a “YouTube for professionals” and doesn’t take Ads and won’t recommend similar videos so your viewers wont get dragged away down the YouTube rabbit warren and forget where they started. As a professional video platform it is mainly funded by subscription accounts but the free account should be more than adequate for your use. I’ve written in previous posts about passwords, hacking, identity theft and the threat to our privacy, data and businesses from cyber criminals. As you might imagine, the number of attacks is increasing, as is the sophistication. many people use one password across many websites. 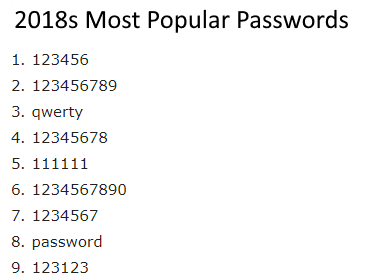 As you can see from the list on the right a lot of people use passwords that are less than ideal. The cyber criminals know this which makes it a gift for them. Some people think they are safe because they have 3 passwords. A simple one for common sites where they don’t see a threat (posting comments to newspaper websites for example), a medium one that they use for on-line shopping and Cloud storage sites (DropBox for example) and a really complicated one for their “secure” sites, such as bank access etc. After all, just trying to remember pWa#eeAS7uNggK49 is a challenge but if you have to remember a different one for every single website it becomes a real challenge. You might jot them down in a notebook or diary but what happens if you loose your book, or just leave it on a train. Not only have you been frozen out of your accounts (until you work your way through all those “forgotten password” routines) but your security has been seriously compromised. 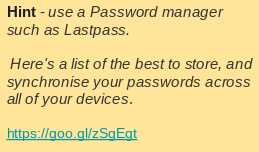 Some people, like me for example, use password manager. 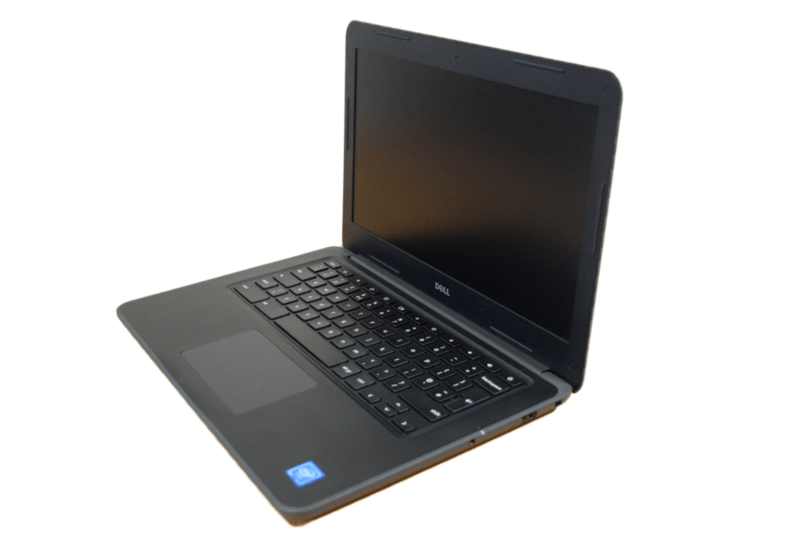 These apps create a secure password for ever site that you log in to and make it available across desk-tops, lap-tops, phones and tablets and don’t cost very much at all. But even if you use one how secure are you, actually? 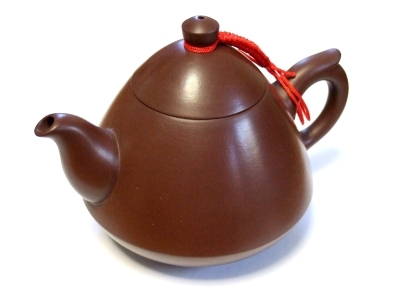 If a site that you use your super strong password on is penetrated and data stolen, your strong password is about as much use (from a security perspective) as the infamous chocolate teapot. And if you have used this super-strong password on more than one site you are at an even greater risk of becoming a victim of data theft. With more than 6,474m email addresses in the wild for cyber criminals to use and 551m passwords stolen in security hacks the criminals job gets ever easier. Use the Have I been Pwned website to see whether your passwords have been stolen by cyber criminals or nabbed in a data breach and read more about the risk, and how the criminals use this stolen data in a previous post. It’s actually fairly simple. 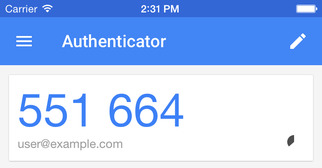 It’s called two factor authentication [2FA] or multi-factor authentication. This is where another layer of authentication is required, beyond your user name and password. In the early days of 2FA sites would send you a text with an access code so you could only log-in if you had your phone with you [and had a mobile signal]. This extra layer of security hit the cyber-criminals hard, until they realised that intercepting text messages was not particularly difficult if you were tech-savvy so something else was required. Having a device for every website is pretty clunky so Microsoft and Google released authentication apps for Android and iPhones. The way they work is they generate a six digit code, as can be seen in the image on the right, and the website that you are looking to access requests this code after you have entered your user-name and password – as demonstrated in this screen-shot of my LastPass password manager. 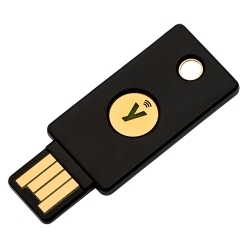 The final security solution is the physical “Key” such as this one from Yubikey. This is a USB device that simply plugs in to a USB port on your computer and allows you access to secured sites – or even your computer itself. You might have a website that’s been build using WordPress. No one will blame you, after all it’s free and has become probably the most used Content Management Systems (CMS) out there. In fact, in 2018 around one third of all websites were built on WordPress. You might have built the site yourself or paid a developer to design and build it for you. You might not even know that your site has been built using WordPress. It’s popular because it’s free and pretty easy to use – well it is when compared to some of the alternatives out there anyway. Although popular and free, it may not be the best and although it It is OK it does have a number of issues. Because it’s so popular it’s become a top target for hackers. This means that the people behind WordPress have to be on their toes, always on the lookout for weaknesses & flaws that the hackers can exploit to break into a website and create mayhem. When the WordPress developers come across such a flaw they create a patch and release a new version of WordPress. As an example, the current version is 4.7. 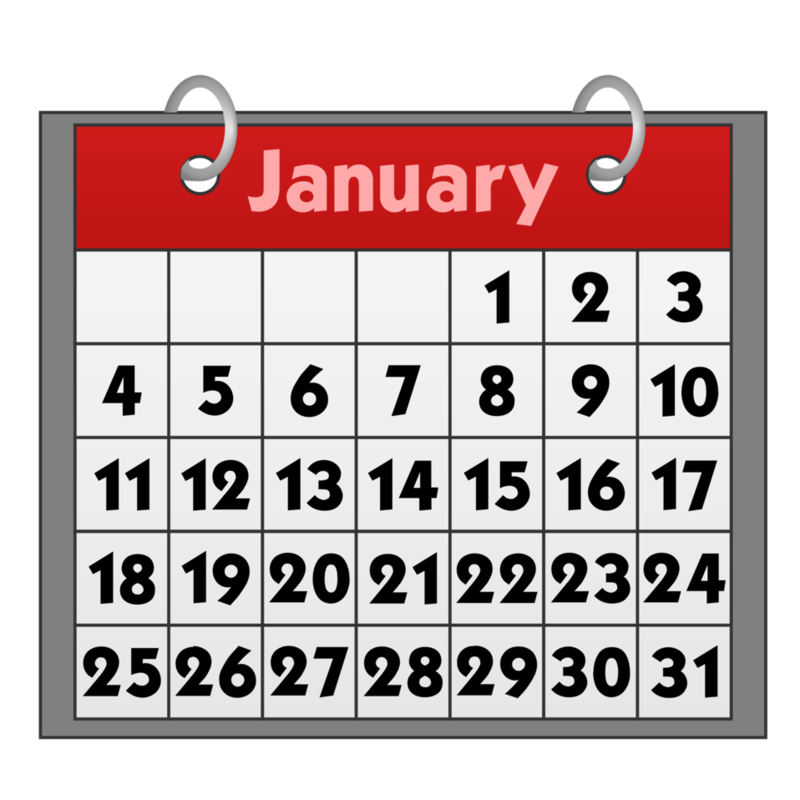 However within the next couple of weeks there will probably be a new version. 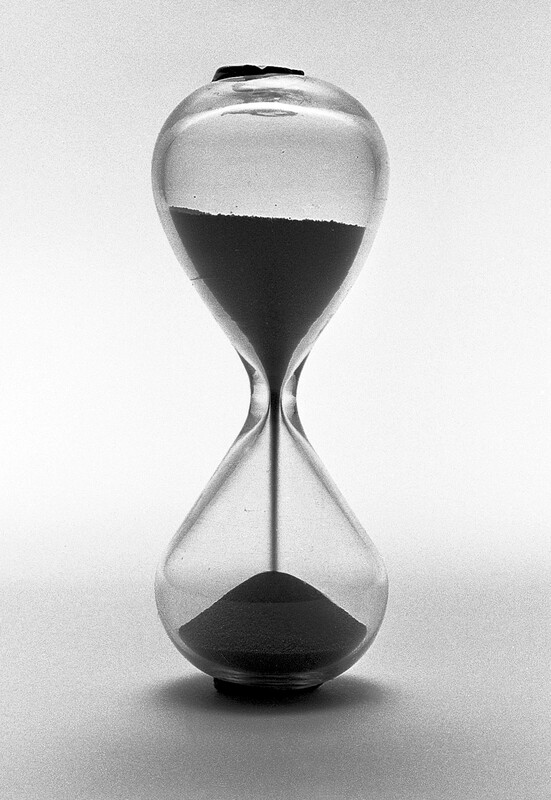 4.7.1 and then 4.7.2 and so on and so on and so on, releasing updates as and when flaws are discovered. You and your web developer need to be on top of this by making sure that you’re running the latest version of WordPress. The newer versions, if setup properly, should update themselves automatically but you need to keep an eye on things just in case. Older versions had to updated manually, by clicking the ‘Update Now’ link so it all seems pretty straightforward. But it’s not! 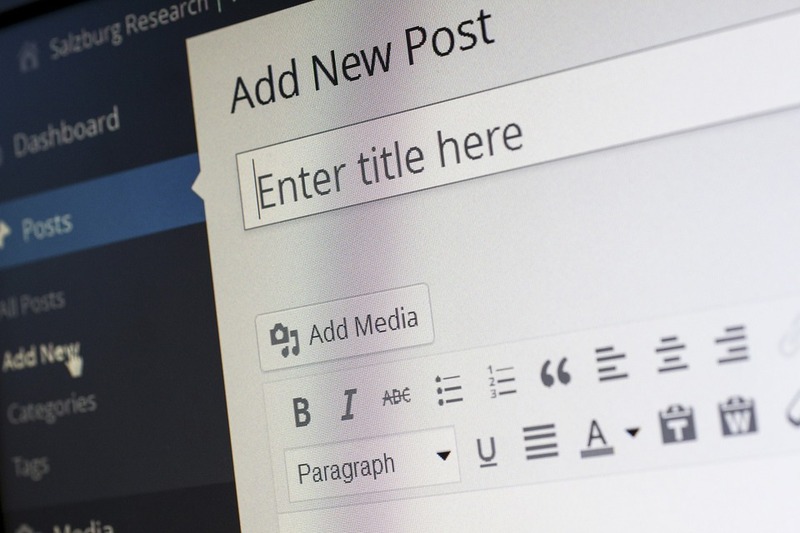 Most websites using WordPress use a number of Plug-Ins, small pieces of software that add extra functionality to the website and make it easier to manage. 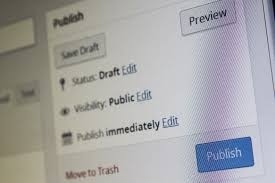 However, you need to exercise caution when updating – especially if you use a lot of plugins to manage different elements of your site because some of the plug-ins may not have been updated to work with the latest version of WordPress. This means that hitting the WordPress Update link might cause a plugin to stop working and this could break your website. But what happens if you don’t update WordPress? Well, you might find that your website gets hacked and will start to do things that you would’t want to be associated with. It could start to download malware to the computers of all the people who visit your site – siftwre that could monitor their keystrokes and pass banking details back to criminals in Eastern Europe or China, for example. Or you could find – as one news website found out to their embarrassment – a lot of unsavoury spam being inserted into the first paragraph of every news story on their website. The company were very lax – their site was built using WordPress and was last updated in June 2012. Since then, there have been 114 updates to WordPress, some to improve performance and some to improve security. By failing to keep up to date this gave the hackers and “easy in”. The hackers were able to use automated tools to find websites using WordPress and to find out which version was being used. From there, it would have been simple for the hackers to target a known weak spot and break in. From there, it would have been the work of moments to install their own spammy code. 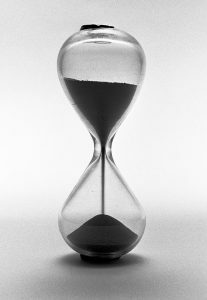 It’s easy to cure – all they have to do is identify and delete the malicious software and then update to the latest version of WordPress, although they are so behind with their updates that they might find their site gets broken by the update so they might be caught between a rock and a hard place. If you are worried about WordPress, then don’t hesitate to get in touch. Give me a call on 01793 238020 or drop an email to andy@enterprise-oms.co.uk for a free, confidential and obligation free chat.